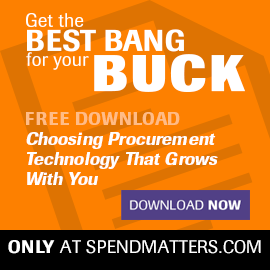 This is the third in our list of outside-in issues that are shaping a modern procurement organization and defining the objective beat to which procurement will have to dance. The days when a procurement manager could sit in a room ordering from catalogues and sending out the odd RFP are long over, as such procurement manager now has to deal with global suppliers, insure sustainably sourced and produced products and services and help manage the digital channels that connect the organization to its supply chain and to its customers. 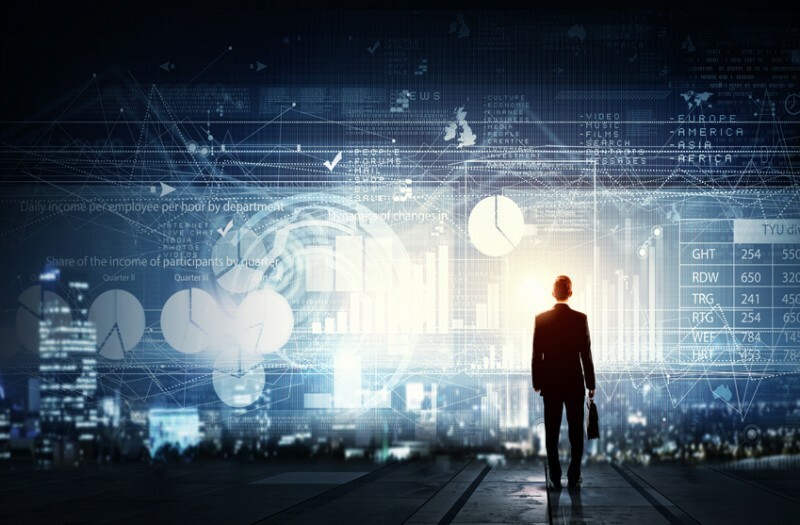 Digital transformation is increasingly creeping into a CPO's crosshairs because digitization is becoming a daily part of our personal and professional lives. Not only is software becoming critical for everyone in the organization to do their jobs, but the Internet is becoming critical to sales and marketing to advertise and sell the product, R&D to do research and engineering to control just-in-time manufacturing. Meanwhile, from a corporate strategy perspective, companies are aggressively looking at their digital business strategies — and consulting firms like Accenture, McKinsey and others are busy capitalizing on this. Distribution companies do not wants to get “Amazoned.” Logistics firms do not want to get “Ubered.” Contract manufacturers want to become innovation incubators. And pretty much every finished goods manufacturer wants to embed telemetry to collect data and use it to improve customer satisfaction, increase top line growth and pass the data back to the supply chain to improve operational efficiency. This is a golden opportunity for procurement. Since the supply function is increasingly tasked with improving revenue and to tapping supplier innovation, the digital business trend is a great way to get “outside-in” momentum to align to customers and suppliers alike. And it’s a great way to align to R&D, marketing, IT, customer service and other functions as they lead their own initiatives in this area. Of course, digitization can also merely take the form of better automation internally within procurement and supply chain processes. Cloud-based solutions of all forms have the potential to add a lot of value. And these don't even have to be procurement solutions. For example, digital signature tools like DocuSign and others are a no-brainer to crushing down sourcing/contracting cycle times and free sourcing managers to drive more savings and transformation — rather than chasing paper signatures. More broadly and simply, CPOs need to ensure that they have the right software solutions (and managed services based “solutions”) to support their business processes. For example, they should have a spend analysis solution that makes it easy for an analyst to identify opportunities, a good sourcing suite that makes it easy to set up and run relevant sourcing events, a good e-procurement suite that everyone who buys can use to create requisitions and issue POs within their buying authority, and good supplier interface functionality that allows a supplier to easily engage with all supplier facing systems. Procurement can't foster joint design initiatives if R&D and the third-party manufacturer can't share designs through a secure internet portal. The full sourcing-procurement cycle should be covered and fully support day-to-day operations. This is easier said than done — and also why Spend Matters exists. The next thing a CPO needs to do is make sure each department that needs to work with partners, vendors and clients digitally also has the right systems to do that, and that those systems collect the data procurement needs to make a difference both locally in a business unit or function, but also at an enterprise level using spend/supply analytics (see our 50 Shades of Pay series for more on this). It also needs access to external information and intelligence, enhanced with analytics data to marry it to internal data, to help provide deeper insights into supply markets than internal stakeholders currently have. Procurement cannot bring down production house costs for marketing if it doesn't know what the current costs are, how they compare to market benchmarks and which houses they could have spend leverage with. Finally, the CPO needs to understand where digitization is taking the company and then to what extent these technology shifts can be used as burning platforms (or just new tools in the toolbox) to help with company transformation and with procurement transformation (i.e., taking Procurement capabilities to the next level). When do new crowdsourcing communities or online sharing economies reach the critical mass that is required to help a company with its innovation or distributed outsourcing efforts? When do new social media and marketing platforms and channels change from buzz to real value? When do sharing platforms become B2B tools in the procurement toolbox to better use value chain capacity of people, facilities, trucks, systems and any external resource that can be tapped for greater value? These are not easy questions and will require a lot of research, deep thought and pioneering early adopters (practitioners and providers) to prove them out. And we’ll be right here to help you get in front of these trends. Thanks for reading.